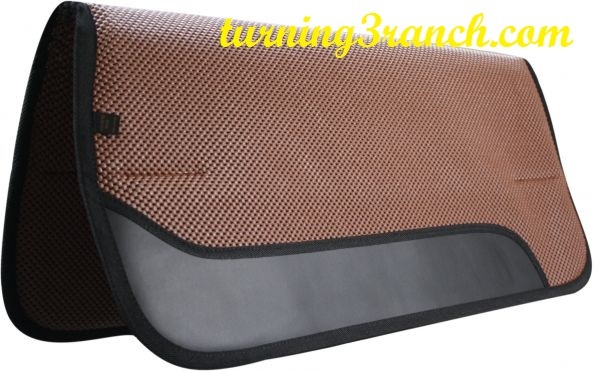 If you would like to purchase multiple items, email us with item numbers and zip code and we will invoice you with a combined shipping rate. 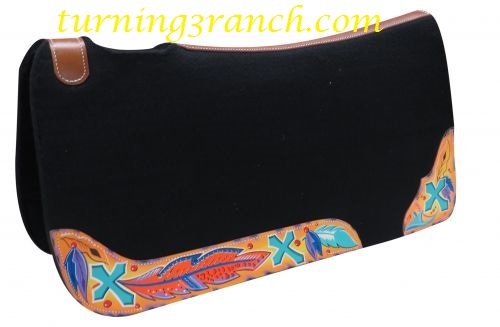 Showman ® 31" Wide x 32" black felt pad with feather print. 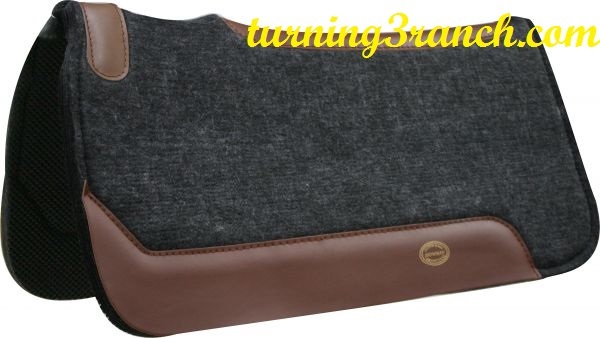 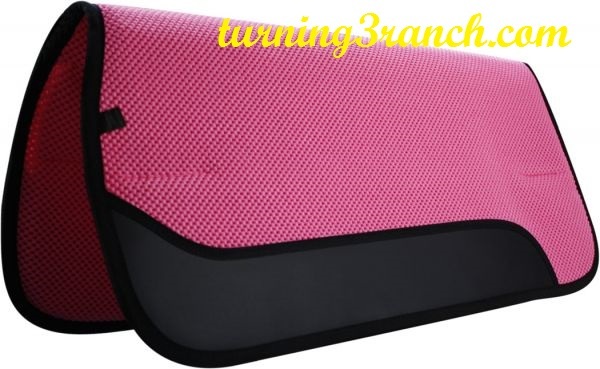 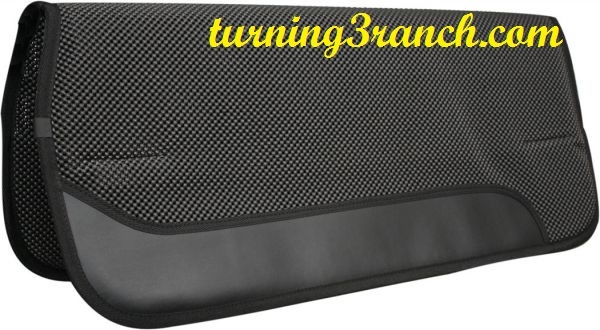 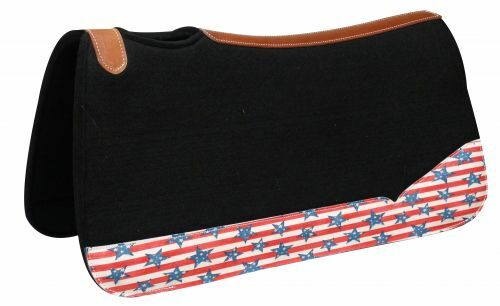 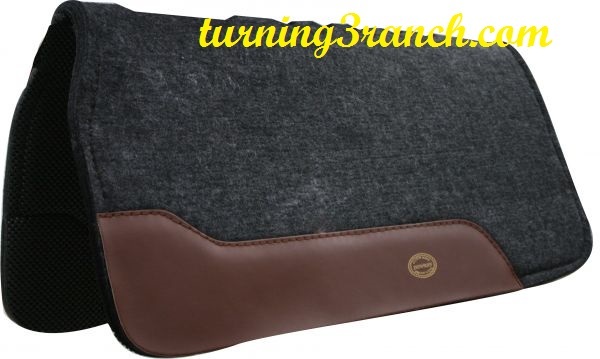 This pad features 1" thick black, heavy duty blended felt that is contoured to fit the horse. 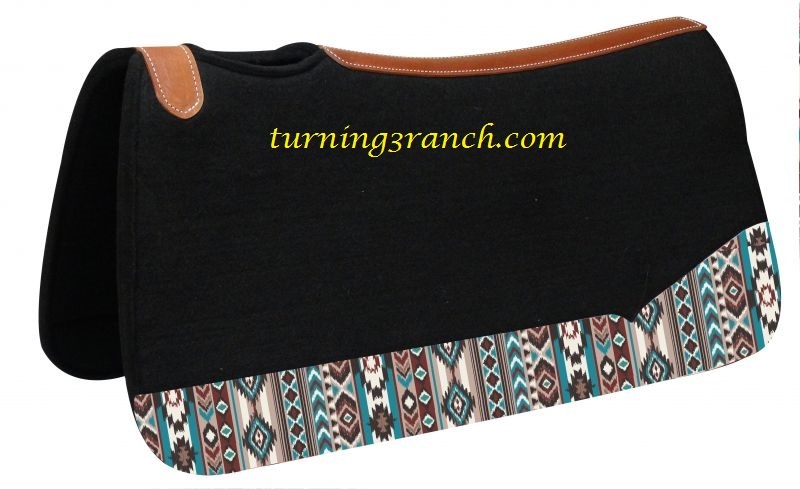 Argentina cow leather reinforced back with vented wither and Navajo print wear leather. 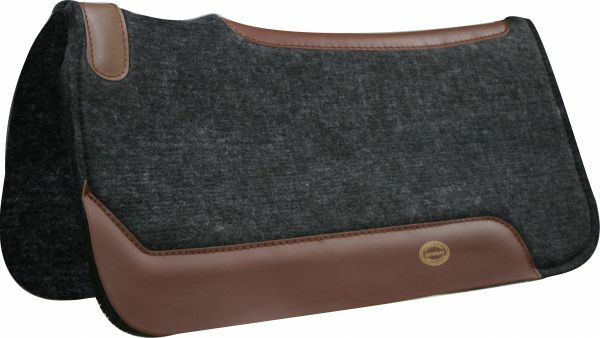 Showman ® 31"X 31" wool felt pad with foam center. 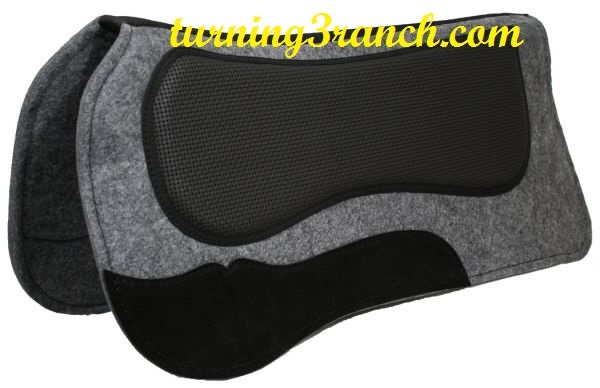 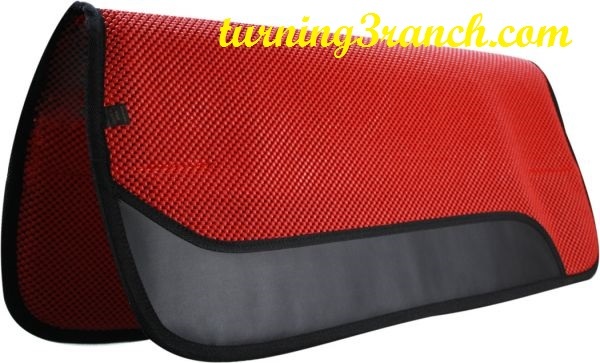 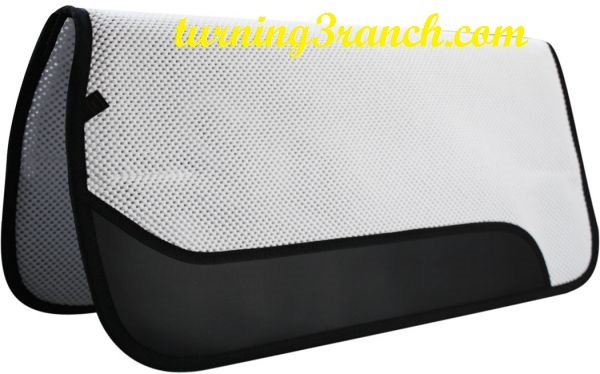 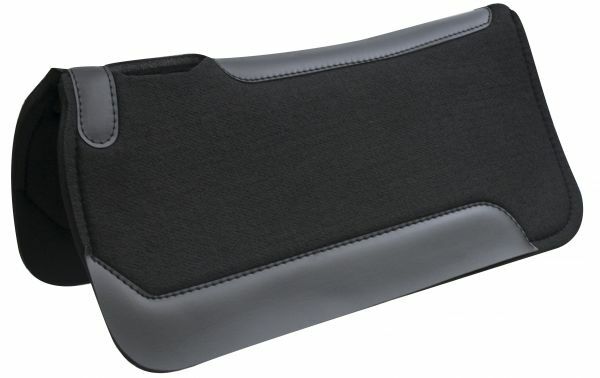 This pad features wool bottom and top with inner layer of foam. 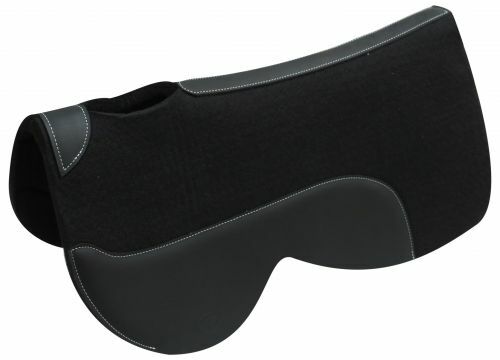 Flexable to contour to the horse's back. 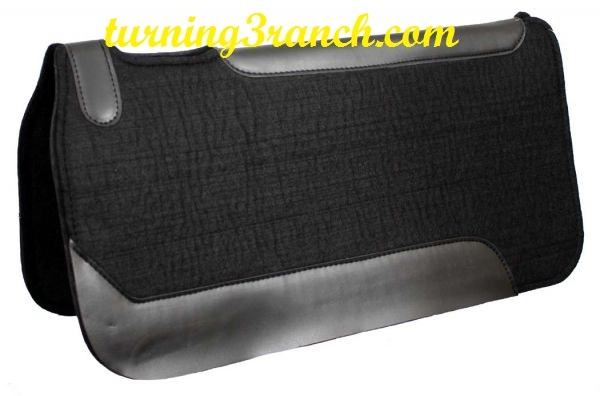 Top grain oversized wear leathers and cut out wither for more durablity and comfort.